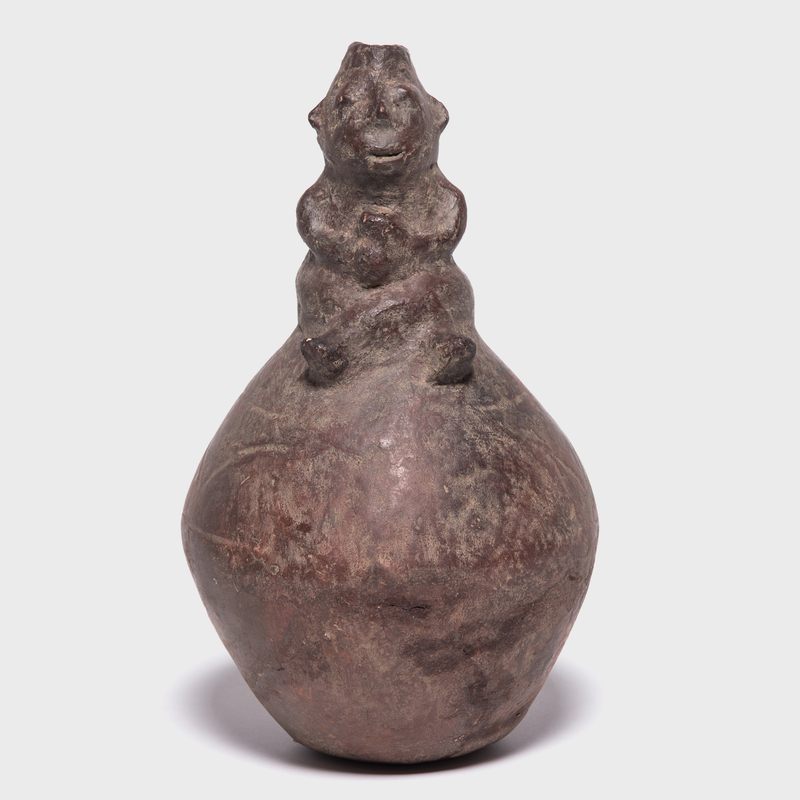 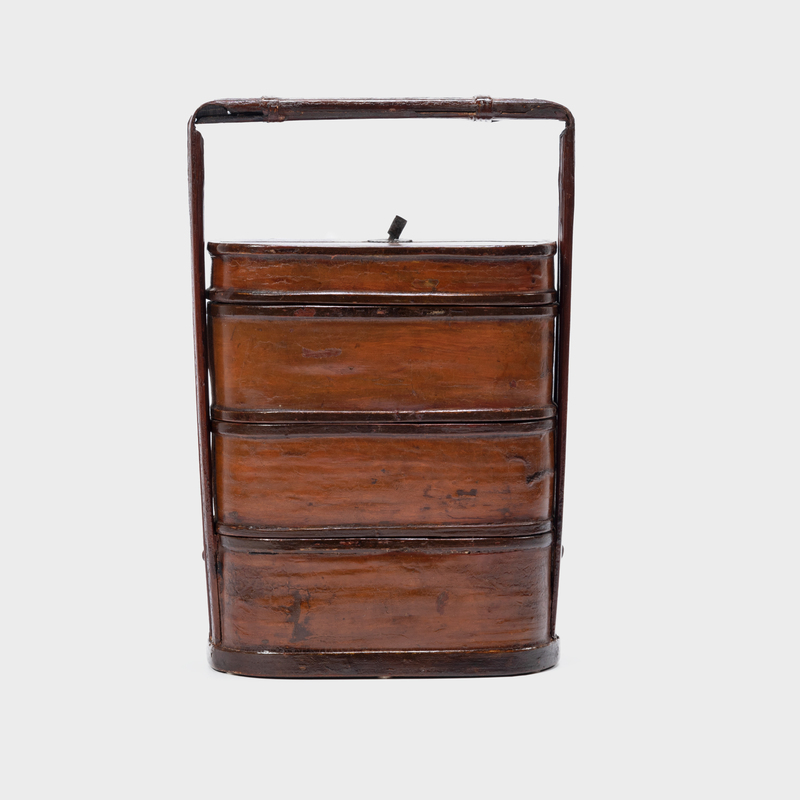 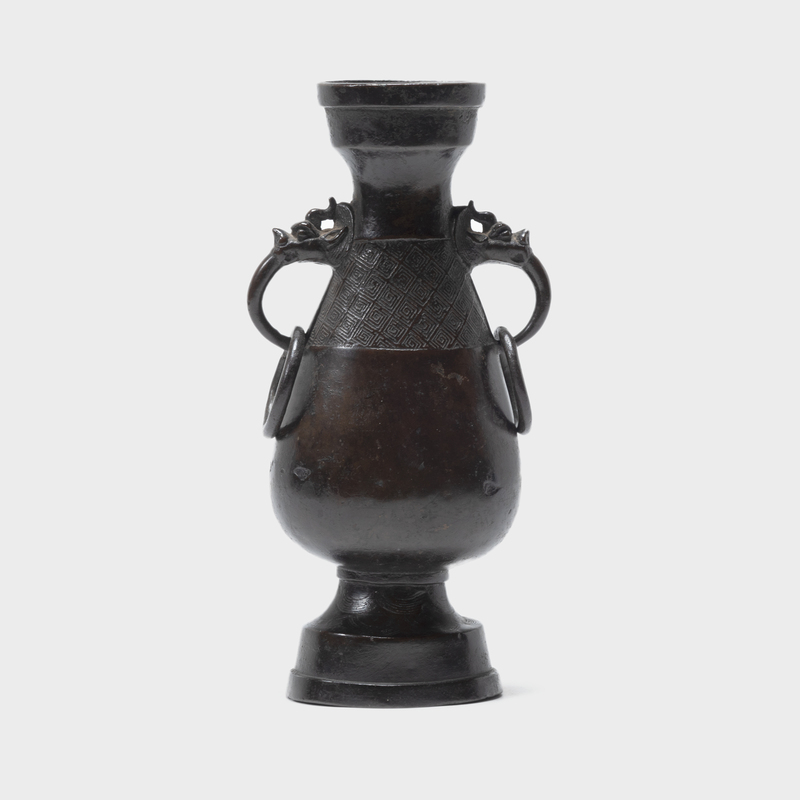 W: 14.0" D: 4.0" H: 14.5"
The gu vase form dates back as far as 1600 BC, when it was originally cast in bronze. 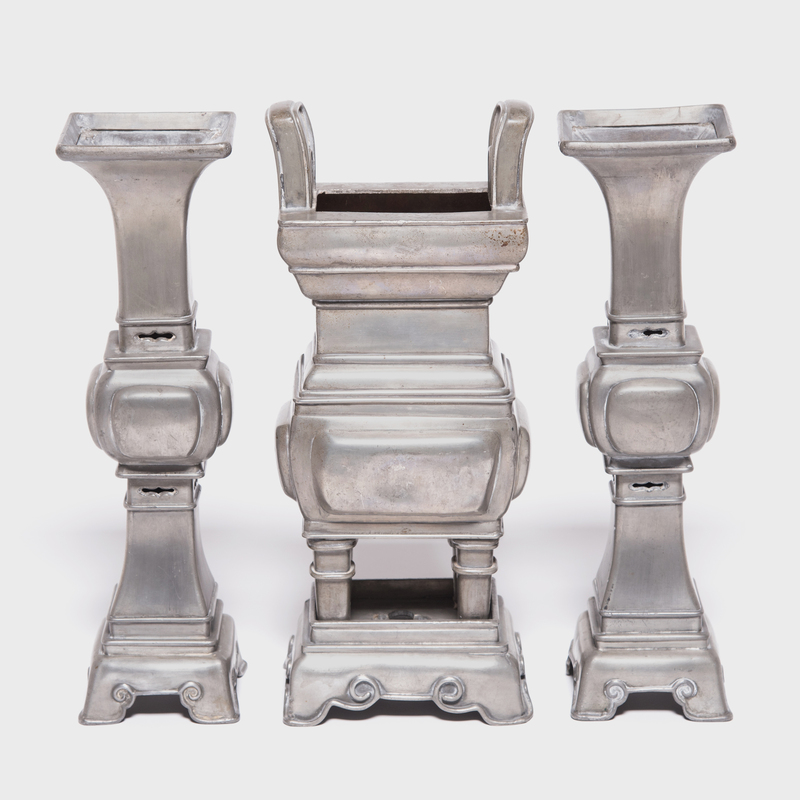 This set of early 20th century pewter gu vases would have been used in traditional Southern Chinese upper-class homes as wine goblets and for ritual offerings. 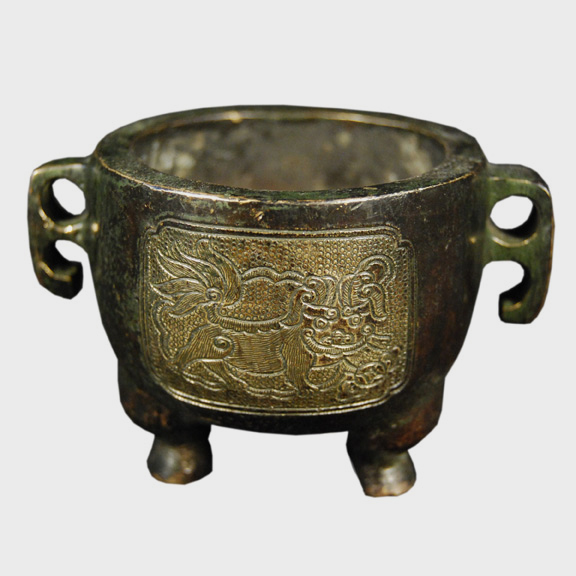 The censer would have been used for burning incense.